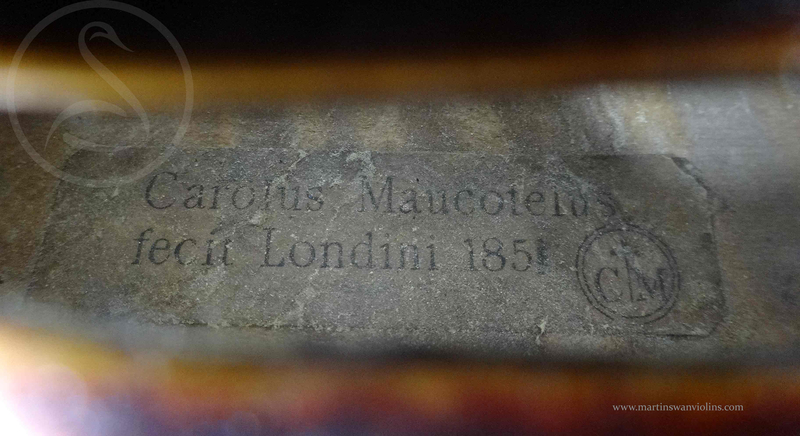 Charles Maucotel was the first of the Parisian makers to come to London. A tremendous yet relatively unknown maker, here we have a beautiful del Gesu copy of his in excellent condition, and with a first class sound. 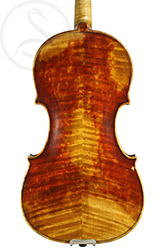 Not to be confused with Charles Adolphe Maucotel (who worked for Vuillaume), Charles Maucotel worked initially for Gand in Paris, then came to London to work for Davis, then subsequently Withers, where he worked alongside Charles Boullangier and Jack Lott, two makers with whom he shares a great deal in style. 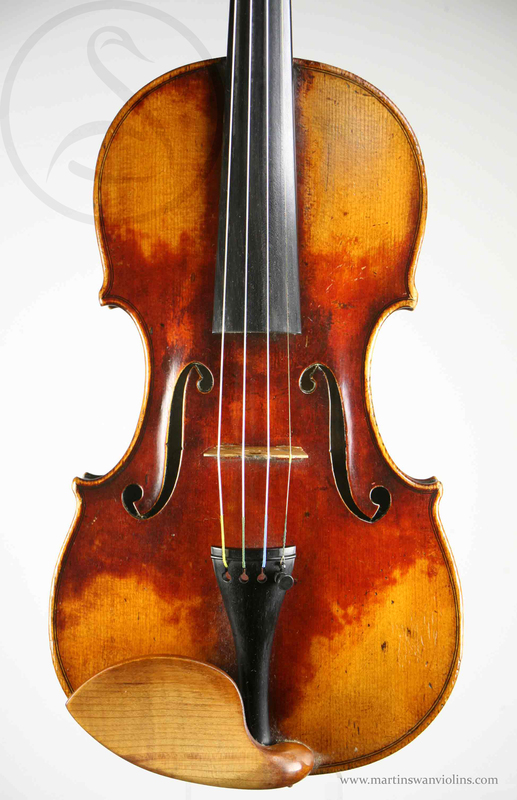 Some of the best English violins were made by Frenchmen, and Charles Maucotel was the first of these, followed in short order by Georges Chanot then Charles Boullangier. 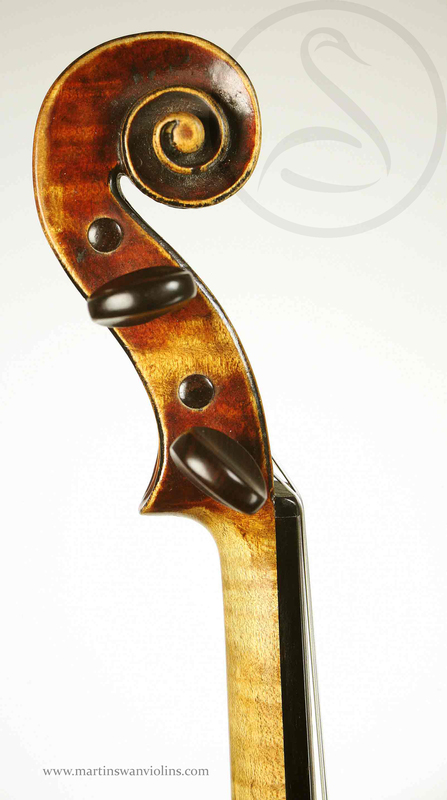 There are very few violins in existence bearing Maucotel’s own label – we suspect that many have become Boullangiers or Jack Lotts! This particular example shows a maker of unusual talent – it’s a very artistic del Gesu copy, the work is very refined, French yet with a very Cremonese feel, and the sound is outstanding. The varnish is a vivid red, heavily shaded, somewhere between Gand and Georges Chanot. The styling is soft and rounded, but from a rather crisp and French starting point. In summary, a unique and important reference example for this maker, and for the London/Paris school. 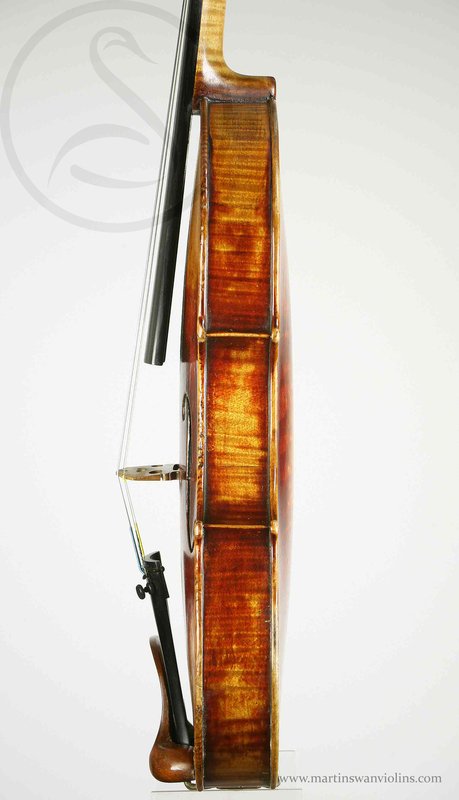 The condition is excellent with no cracks or damages – the violin has had a lot of playing but the varnish is very well preserved. I was completely blown away by the sound, and I still am. It really has the del Gesu sound – power, warmth, and a kind of “mellow clarity” which people primarily associate with Cremonese instruments. 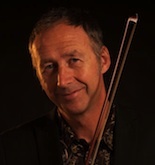 All violins represent a compromise between conflicting virtues – volume versus sweetness, articulacy versus warmth – but this violin seems to get everything right. It’s the ideal size to deliver enough punch for a soloist, but it’s deep enough in the ribs to growl on the G. It has a massive dynamic range – the overall character is slightly dark, but the upper register is clear and open. Most 18th century Italian violins don’t sound this good. 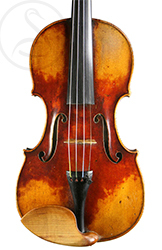 I would say it’s a very special violin suitable for a demanding professional – it’s also a uniquely collectable reference example for this maker. 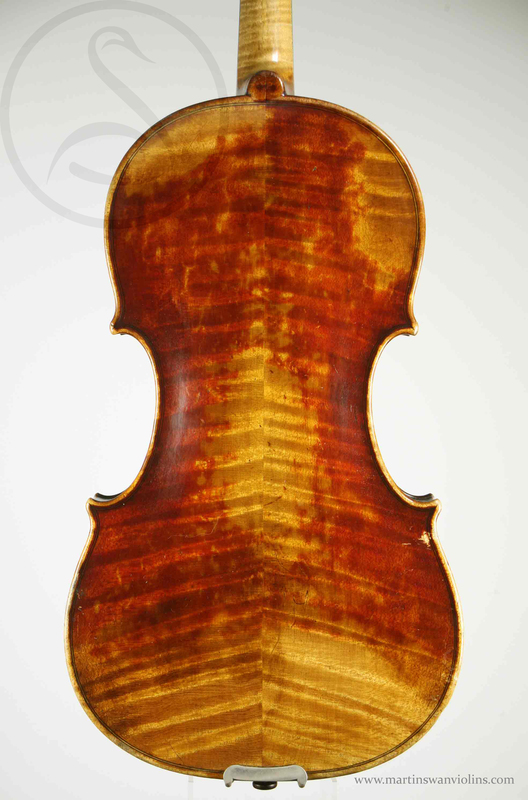 Interested in this Charles Maucotel Violin?